23 April 2014. Haider Mehdi( This is in response to AA article tiled I am a Hero, targeting the army and General Pervez Musharraf). While I am not a Gen. Musharraf apologist, I very strongly refute the many completely false statements by Ansar Abbasi. Ansar Abbasi lets his personal venom, masked as objective journalism, or an intelligent viewpoint or an an investigative report over whelm his writings and objectivity. He tells outright lies, distorts facts, muddies the water, laces it with his poison and presents it as “investigative journalism”. For example he had and has no shame in defending Arsalan Iftikhar or his monstrous father, simply because….and i do not want to say more. Akber Bugti brought his own death by “literally taking up arms against the Country. he took every penny of the Sui gas royalty and never did anything for his people and or his region. Bugti became the Governor of Baluchistan, under ZAB in the 70’s after ZAB dismissed Mufti Mahmood’s Baluchistan government. And all Bugti saheb did was use this position to get rid of his tribal enemies. I have actually overheard him personally telling somebody who was presenting to him how many roads, and health centers and school were to be built in the Marri – Dera Bugti areas, with a wry smile. You will spoil THESE PEOPLE!! . Any violent death is tragic and unfortunate and hence so was his. certainly, but he like many others brought it upon himself. He took up arms against the state, attacked the army and FC check posts guarding the Sui Gas fields when Gen Musharraf refused to pay royalty directly to him but pay to the Baluchistan Government. In hindsight he was nothing but a Tribal Feudal, educated overseas, with a semblance of western values BUT bled his people white. The Lal Masjid so called students were people armed with Rocket Launchers, machine guns, hand grenades, sniper rifles, land mines etc. For your kind information Mr. Abbasi, Madrassa students are supposed to have pens, pencils and books in their hands. He glorifies people like Ghazi, the evil cleric masked as a person of God. I agree, of course the army should not take over. Agreed. Of course General Musharraf made mistakes but he did not bleed the nation white. But the greater disservice is by the politicians who have wrecked and destroyed this society and by us the spineless nation which allowed these actions to take place. Please remember. All Martial takeover were initially overwhelmingly welcomed by the people of Pakistan. Can anyone forget the scenes of jubilation when NS was overthrown in October 1999?. Wrong, yes i admit it was wrong, BUT the PEOPLE from North to South, East to WEST welcomed it. Look at what has happened since Mr AZ and now NS have been in power. Hopelessness, economic stagnation, family dynastic rule. If people have access to job opportunities, to health care and education and justice, and the freedom to practice their brand of any religion or faith or as enunciated in the Meesaq e Madina, by our Holy Prophet PBUH, why would they welcome a Messiah, in the uniform of General? We will never. We only do so because the politicians, crooked to the core, and even today, a shameless lot of pitter patter conversationalists, living in their palatial homes and houses, are sucking this nation dry, and have and will once again fail this wretched nation. These snakes see their biggest threat, not in losing power in elections but in losing power to a non-democratic force. And hence their Machiavellian efforts to weaken this institution to stop it from taking over. How perverted and sick. So one wonders what is Ansar Abbasi’s objective?. if it is to stop the Men on Horseback from coming back, then I’m afraid he is creating the environment for them to COME BACK. In my opinion, he is a gifted HACK, with a smooth tongue and a strong pen, which he uses to spread poison. I also think he has very flexible values and scruples and wraps himself in the holiness of Religion, a freedom fighter, a warrior, while grossly lying through his teeth. And what may I ask makes him an authority and scholar on Islam ! !.May Allah Guide Him towards what is REALLY RIGHT ! So all hell has broken loose in the Pakistani media and the country. Now the facts as gleaned from public media. Hamid Mir, gets shot, at about 5:15 pm in Karachi, en route to GEO office in Karachi by unknown assailants, while travelling in a white Toyota Corolla Car which belongs to Hertz Rent a Car, its Pakistani franchise owned by Jehangir Siddiqui, related to Mir Shakeel ur Rehman by marriage, as it was turning off from the airport road to Shariah -e -Faisal. Assailant who is waiting on the right side of the road, fires on Hamid Mir, sitting in car (don’t know how many bullets). Assailant then jumps onto waiting motorcyclist on the back seat, driven by his partner and chases the car. Driver speeds to get away. Assailants chases car for some distance (don’t know how far ?) fires some more bullets. Later reports indicate 6 bullets. Driver rushes Hamid Mir to Agha Khan Hospital, where he undergoes emergency surgery and from all latest reports is Masha Allah, recovering well and has also given a statement, implicating state ( ISI) and non-state actors (beats me who they are ??). Geo’s position of directly and indirectly implicating ISI in this tragic event is aggressively supported by Amir Mir, Umar Cheema, Absar Alam and the ever green, Ansar Abbasi, and less, but by innuendo, Kashif Abbasi, Meher Abbasi and some others. In the Government the key players who have supported GEO’s position, either through their silence or actions and words are Prime Minister Nawaz Sharif, Defense Minister Khawaja Asif (despite the reference) his resounding silence is deafening, the “poet” Information Minister Perez Rashid and the normally active jack in the box, Khawaja Saad Rafique, who never lets an opportunity go by, to put his foot in his mouth. While I do not know anyone personally, I have an opinion for their support which comes a little later. The Rest of the media’s position is clearly against GEO’s highly irresponsible, inappropriate and, to many observers, very obvious, anti-state like and subversive attempt to drag the ISI and its DG as the guilty party in a manner reminiscent of a witch hunt or a Klu Klux Klan raid. The only Government person of substance supporting this position is Interior Minister, Chaudhry Nisar Ali Khan. Also this group and their supporters are in agreement on the freedom of opinion to present one’s viewpoint, even if against state institutions like the army or the ISI, given their past actions of military rule and high handedness, but all are clear that this should be done without defaming or bringing them into disrepute or deliberately weaken them. 1. Under civilian control, and confined to its specified role. 2. Weakened and hence unable to exert its influence on civilian rule or “misrule”. 3. Made completely ineffective, denuked, weaken the country’s military prowess, and or resultantly, God Forbid, result in the end of what we know of Pakistan today. Pakistan Army and ISI– Yes to 1 above, Could they have planned and executed this? Highly unlikely, even though they have the capability. Doesn’t make sense especially given today’s situation in Pakistan. Nawaz Sharif– Yes to 1 and 2 above. Firstly because of past treatment, secondly his political view that it should be firmly under a civilian Prime Minister and thirdly his autocratic persona which wants complete and total authority. Today, legally, this authority vests with the civilian PM, but the past is still fresh and the wounds still raw. I think this clouds his judgment and he wants it quickly and uses dubious street type Machiavellian tactics, good cop bad cop tactics, to try and achieve his goal. All these are attempts to reduce the army’s image, which despite its Martial Law past, is still the most revered, loved and respected institution in the country, and also the most effective, most disciplined, most powerful and relatively meritocracy based organisation. Nawaz Sharif succeeded in his moves to exercise control over the army, under Gen. Karamat and unsuccessfully under Gen Musharraf. So anybody and everybody, inside or outside the country, who either overtly or covertly, wants 1 and 2 , also helps him get his piece of cake. Hence his terrible and some say cowardly or “foxy” silence and lack of a firm position in defense of the Army / ISI, against GEO’s highly irresponsible arraignment of ISI and its DG. Hamid Mir, Amir Mir, Absar Alam, Umar Cheema, Minister Khawaja Asif, Minister Khawaja Saad Rafique, Minister Pervez Rasheed, and their supporters, all clearly want 1 and 2. So are all indirect NS allies in helping him achieve his objectives, whether consciously or sub consciously. I personally think they want this because they believe that the Army and ISI etc have been the cause of Pakistan’s current state and ills and hence must be reined in and kept in its place. I do not believe that they are traitors or enemies of the state. But I do also believe that they go and have gone significantly overboard, in their anti Army / ISI rants, and say and do things which are detrimental to the state, causing much harm. Many have suffered such as Umar Cheema, Khawaja Saad Rafique and Khawaja Safdar and they think the ISI was behind what happened to them. So their anger is also personal. GEO. This organisation is an enigma. Why would Pakistan’s largest, most powerful, most successful, most profitable media group, take on the military establishment so openly, so brazenly, so obviously and so consistently. Is it because they also want 1 and 2? Or should we add 3 to it. And this is where rumor mills go into overdrive. Their owner lives in Dubai, who can only be contacted through a Pakistani UAN number, unless one is part of his very inner and close circle, because no one gives out his phone or contact details. He is a mysterious furtive Howard Hughes type figure. What is this person’s and his media empire’s agenda and objective?. Serious question. More importantly why? No clear answers here, just some very deeply disturbing whispers. Some say they have concrete proof that 42% shares of International Media Group, owners of GEO and The News, are owned by the richest “Reliable” person in our neighboring country. Whatever they be, they do help NS achieve his objectives of supreme civilian rule and despite this huge overreach by GEO, the PM remains smugly and tragically silent. Could someone in GEO have orchestrated this and made poor Hamid Mir, the innocent and brutal victim of a really evil design? Possible. TTP and Ansar Abbasi. Yes I have very consciously put Ansar Abbasi in this lot, because he is not the saint that he appears, and does not have the same reason for their anti army and ISI stance as Hamid Mir and company have. He clearly wants an end to the current state and fully subscribes to the TTP end game. He is the TTP’s Trojan horse, infiltrated into main stream media, as are some others. This group wants 3. So they can take over the state and impose their mayhem, slaughter and their terrible version of a Very Pure Faith. Before they achieve 3, they will help NS get his 1 and 2. So could they have planned and executed this? Perfectly possible. Baluchistan Insurgents. Want 3. Could have planned and executed?. Yes. Afghanistan. Clearly 1 and 2 because of their belief how these institutions have influenced Afghanistan’s internal politics and in their opinion the cause of much of their present day problems. 3 is an unlikely option. Possibly planned and executed? Yes. USA. 1 and 2 when its suits them. For a denuked Pakistan perhaps even 3. Possibly planned and executed? Possible but improbable. While they have the capability, but, in my opinion with their hands full in Afghanistan at the moment, the timing is not right. But then again not improbable. So here’s the simple conclusion. Many players wanted this action on Hamid Mir to bring the Army and ISI into disrepute, bring about open confrontation between the Army and the PM and amongst ordinary Pakistani and sow seeds of doubt and achieve their objectives as listed above. All those who have the good of Pakistan at heart, and are sincere patriots, and want the rule of law, a thriving prosperous country with equal and fair access to education, health care, job opportunities, safety of life and property for all its citizens, and system which dispenses justice and a state in which all institutions play their rightful role, should be very vary, especially at this extremely serious time in our history, that in their desire for civilian supremacy and military influence containment, they should not unwittingly, play into the hands of those enemies of Pakistan, using their “soft spots” to goad them into this confrontation. Pakistan is beset by a perverted and sham form of so called democracy. This version of sham democracy is actually an existential threat and allows the same old decrepit, discredited, deviants and corrupt jokers wearing different party colors back in power. If it’s not NS then its Terry Thomas! Or if not Rehman Malik, then that other masterpiece Rana Sanaullah and their likes. All with nothing but their own personal self-interests, and the nation be damned!!. And this is how it happens. In 2008 PPP got their 124 seats to become the largest party by getting just 13% of the eligible vote bank of 85 million voters. 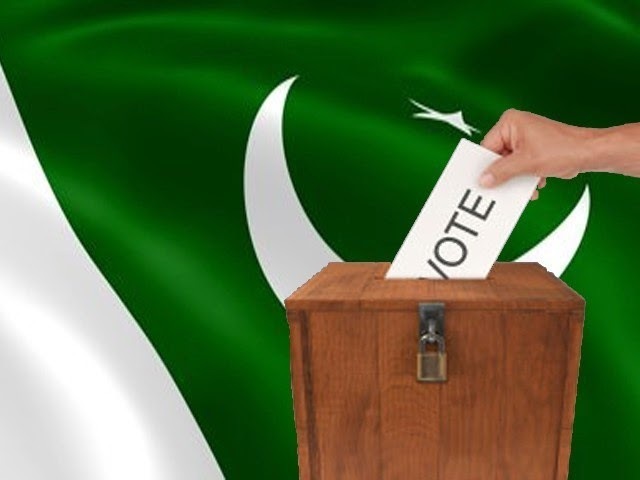 PMLNs mandate of 91 seats came from a DISMAL 8.3 % of the Eligible votes. And PMLQ, got their 54 seats through 10% percent of the eligible votes. Yes they got more votes than PML (N). So the three largest parties got approx. 80% SEATS through 30% of the ELIGIBLE VOTE. 70% PERCENT PEOPLE REJECTED THEM either through non participation (60%) or voting for others (10%). So really any party which can “game” and “buy” the system through “rural electables” pre poll rigging, every dirty trick, including partnering with their worst enemies (Qatil League and PPP, MQM and ANP etc) gets into power. The 2012 election was no different. PMLN officially got a mere 17% of the registered vote to brag about their heavy mandate of 126 seats from the 272 up for grabs. This notwithstanding the now widely accepted fact that massive rigging got them a minimum of 30 to a maximum of 60 seats. So even if one were to accept these official ECP numbers, even then a WHOPPING 83% percent registered voters of Pakistan have rejected the PMLN either by voting against them or not voting. Look at some of the other parties. PPP takes 8% of the registered vote for 33 seats, Imran Khan’s PTI 9 % of the registered vote (more than PPP) for their 28 seats. But wait look at this. MQM gets 3% of the registered vote for 19 seats and Mullah Diesel Rehman with 1.7% of the registered vote swings in 11 seats and enough to blackmail everybody. So all a party needs is about between 13% to 17% of the registered Vote; however which way they can, rig, cheat, bribe, and then rule with impunity for 5 years. Our Electoral process and system has to change otherwise we will continue to get these “rotten” eggs back in power who do not have the intent, the passion and even more importantly the skills, capability and capability to deliver results. It has been estimated that the National Assembly seats rotate amongst 1246 people / families. So it is clear that we will continue to be held hostage by dynastic politics and see such sickening sights of a wimpish effeminate Bilawal hailed as the future “peoples” leader. Or a smirking corrupt to the hilt Hamza raising his finger like a Mussolini, as if taunting this spineless nation for their absolute sheep like acceptance of their exploitation. Or a Mariam Nawaz, pretty and charming as she is, nurtured as the next heir apparent and silently but viciously vying with Hamza for the Sharif legacy. Despite the “public bonhomie” between the brothers GRIMM, a royal battle is on between them to the extent that no business can be conducted in Punjab, unless it is, as fairly substantiated rumors go ( I don’t have receipts and clandestine tapes unfortunately), facilitated by the younger GRIMM and his “fixers”. These guys allegedly report directly to Hamza and Salman, the other son of SS, who no one hears about. Are we fated to suffer this utter nonsense and continue to be held hostage by dynastic politics or do we somehow break their strangle hold ?. Firstly and for starters is the need for electoral reform and a Presidential form of government elected through direct adult franchise, with more than 50% of the vote and not first past the post. The same for provincial Governors and the Federal and Provincial legislatures. A key change in the governance structure is the constitutional power to these Federal and Provincial Chief Executives (President and Governors) to appoint the most capable technocrats, to cabinet posts. These technocrats do not have to be elected legislators as is currently required, but as in the USA, are appointed to cabinet posts by the President / Governors and approved by Senate and Congressional Standing Committees, before they take office. This way we have people, who may have personal political affiliations and biases towards a political party or person, but also have the professional expertise and capability to address the strategy and policy making of their respective portfolios. Otherwise we are doomed to see the strange sight of a street hooligan like Abid Sher Ali trying to sort out Pakistan’s energy crisis, using tactics reminiscent of a local small time badmash, uncouth, uncivilized, with no idea of the industry, its issues, the long terms ramifications of current decisions etc. Or our good old Jack in the Box, Khawaja Saad Rafique trying to fix the railways, General Musharraf, Imran Khan and everybody in Pakistan, except his portfolio and concurrently running lucrative real estate empires. Or even more dangerous and frightening is the silky tounged, smooth operator Ittefaq Accountant turned Economist, the one and only vanishing beard Ishaq Dar. As he convinces all and sundry about his efforts to control the exchange rate, putting us into debt, selling bonds at exorbitant rates, and fixing economy, he is digging our economic grave. And at the same time enjoying his immense Dubai based real estate empire, and Lamborghinis for his son. How on earth do we expect that these guys will deliver for the good of the country?. They are either completely incompetent or corrupt, and the combination of the two gives us a Raja Rental!! So it is critical to have a process which allows capable, competent and subject matter expert professionals, into positions of senior policymaking, cabinet level roles, who know the subject, the business, the industry and the field. While one doesn’t even hand over one’s car to a driver who doesn’t know how to drive, yet we calmly hand over the reins of a major ministry to a street badmash!! Secondly, we also need more provinces to break the strangle hold of the larger provinces on the politics of Pakistan. 17 at least if not 30 as Dr. Tahir Ul Qadri says. And I am not a Qadri supporter. This will bring local government closer to the people. This requires further reform, to implement the Musharraf era type of Direct Local Government with administrative and financial authority in the hands of the Districts and Tehsils. This will take away the financial power of the provincial and federal legislatures and administration with which they currently rule like Feudal Lords, treating the administrative machinery and police as their personal hired goons. Isn’t it obvious that the PPP and now the PMLN government have completely ignored and attempted to destroy what was clearly the best Local Government system in Pakistan, under General Musharraf? Because it took away the financial power and the administrative authority from the federal and provincial MNA’s and MPAs and the PM and the CMs, and these are the very people that parties use to catapult them into power and vice versa. What a perfectly cute little arrangement, and the rest of the country thinks that this is “democracy”. And it really helps to buy out a few media houses and pole vault third rate pseudo-journalists into becoming the “voice of the people”. The recent GEO, Hamid Mir and ISI issue is still very fresh. Clearly, being a realist, one doesn’t advocate a utopian ideal where everyone is clean and honest and hardworking. Granted that there will still be corruption at the District and Tehsil local government level, and contracts will go to favored ones. In the existing system there is really no accountability of public funds, because they come from far of power centers, administered by colonial type officers bearing no allegiance or sensitivities to local needs. Conversely a genuine Local government system holds the locally elected officials to instant accountability on a daily basis and significantly reduce chances of re-election if they fail. Also and very importantly these elected District and Tehsil Nazims, by virtue of their office have to reside in their cities and towns, attend regular office hours every day, and meet and face local people every day. And it is this local proximity and daily accountability and access which drives public service and public good. How can one forget the strange phenomenon of Fakhar Imam and Shah Mahmood Qureshi choosing to become District Nazims and not elected MNAs as power got devolved to the local government system under Zia. On the other hand in the existing system, the local MNA or an MPA or Senator, once elected is likely living in the comforts of an urban city like Karachi, Lahore, Islamabad driving around in their sleek 4X4’s, Mercedes, Porsches, followed and preceded by VIGOs, laden with guards, and their children studying in North America, Europe, Australia etc. This while the hapless poor running from pillar to post under a DCO or a DPO, only answerable to the Chief Minister, who knows his or her own future is secure as long as they are in the good graces of their “Master”. So to hell with the populace. So come next election time, these master crafters called politicians, spend a lot of money which they have “earned” through massive financial corruption, get a ticket, rig the election, get elected and go back to their palaces and Land Cruisers and Vigos. Such is the current tragedy of our current electoral and governance system. Also under the new system, the primary role of the Federal and provincial elected legislatures should be to Legislate and develop new laws for better governance. The system will completely disassociate them from administrative and financial authority. The result will be that only those people will vie for public office, who are genuinely interested in public well-being, because the financial lure is no longer available. These changes in the electoral process and governance structure presented are perhaps one of many ways we can get effective good governance at the grass roots to deliver results which build a Nation and provide for the welfare and well-being of society. This is not a utopian ideal. In fact we have seen such a system deliver some great results. Under Gen Musharraf’s we saw in his first three years, how a cabinet of 17 technocrats administered with great effectiveness and how the local government at the grass roots and nearly delivered a miracle. But he too fell victim to the machinations of the “Old guard” and the rest is history. . So we need a BIG CHANGE in the CONSTITUTION. to the electoral process and the governance structure. The question is how and who will bell the cat? One. The men on horseback come riding in, throw everyone out, set up a constitutional assembly, make the changes, put it to referendum and then move on. Not recommended as this does more harm than good. Two. The People rise to create a Tahrir square, Ukraine, Thailand like environment, bringing the country to a standstill. The Supreme Court may then declare a state of emergency, ask the Army to first clear the law and order situation, appoint a neutral caretaker set up ( not imported like Moeen Qureshi) and then this set up seeks a referendum on the issue and an interim arrangement to bring about the constitutional changes and then the ELECTION under new rules. Lots required and won’t come easy for sure. But most importantly it has to be delivered through the genuine WILL of the PEOPLE. Like someone very close to me always says. Even if we get good leaders in Pakistan, where will we get the “good” people to follow the “good” leaders. Point worth pondering. Perhaps it is time we woke up from our sleep and redeem our future. The bottom line is that the status quo of Sharifs and Zardaris should not and must not last. They cannot be allowed to bleed this country dry and hoodwink people into thinking that this “democracy” is their ticket to eternal salvation . it is not. It is a “Sharifocracy” and a “Zardariocracy” or a “Mullahcracy” and it is only “their ticket” to “salvation” not the peoples. And here is the biggest threat they pose. These evil elements will attempt to destroy any institution which has the potential to threaten their nice pristine golden goose order. The Pakistan Army is on top and in their cross hairs. How Nawaz Sharif would love to lord over the Generals and Brigadiers etc as he does over police IG’s, Senior beuracrats. Transferring and posting them at his and his cronies’s whim and fancyops that list. So one is not at all surprised at the criminal manner in which the present government handled the Hamid Mir, GEO, ISI affair. If they manage to get their way in weakening the Pakistan Army, we are in really serious trouble. I do not in any form advocate military adventurism but in times like this we have limited options. This I say despite my personal aversion to military adventurism in governance. So I don’t know what Imran Khan and Qadri saheb and others have up their sleeves. But one thing is for sure that if change has to come then they must create a Tahrir Square like situation and we hope it will lead to a better Pakistan. Otherwise we will never know, because clearly the current system is not working ! !